Over in Dubai there is a trade show going on at the moment, known as DEAL 2012. 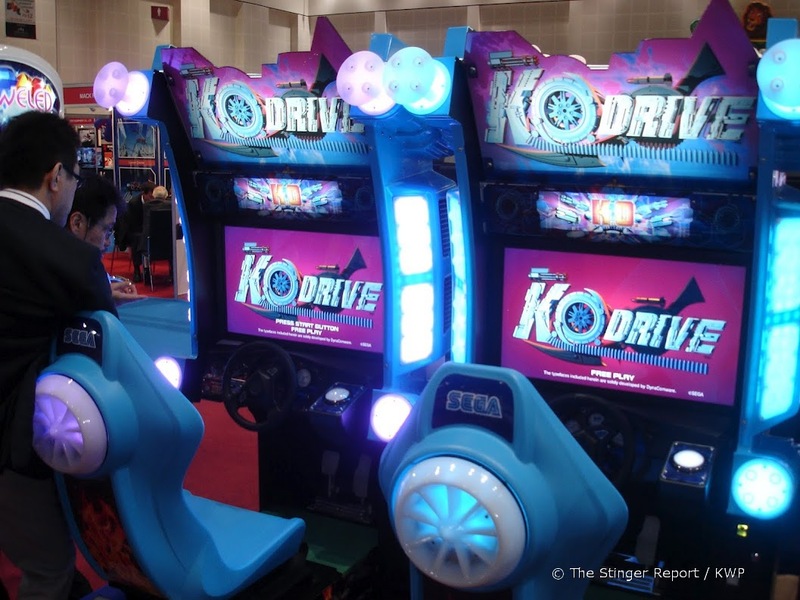 We have covered the DEAL show before and previously new content there wasn’t too abundant but Sega has decided to change that up a little by unveiling their latest arcade racer to the market called K.O. DRIVE. Thanks to these exclusive pictures provided to us by The Stinger Report, it looks to be tapping into what was done recently with Dirty Drivin’ but using cars instead of trucks. 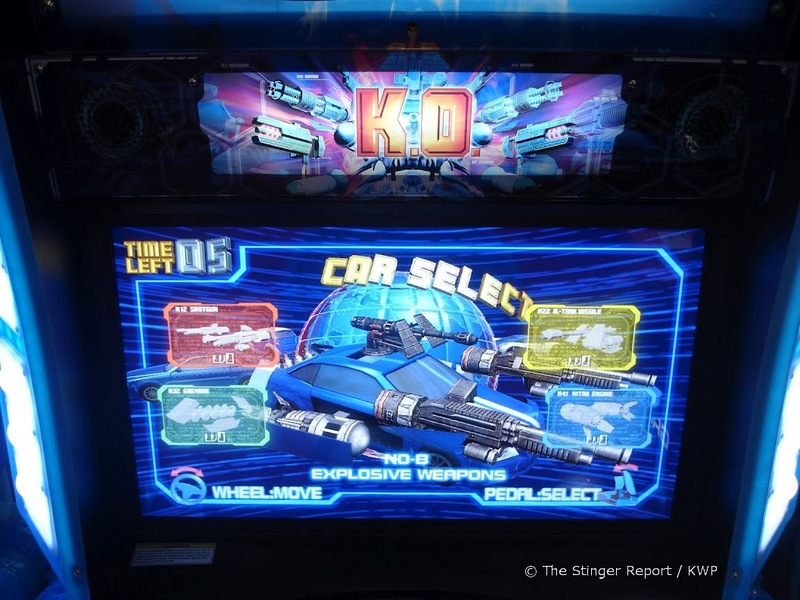 The game uses a cabinet design based upon Sega Racing Classic, which they have also used in games like GRID and Sonic All-Stars Racing, with a few changes of course such as the back lit gatling guns. As you can see in one of the pictures below, it has upgradable weapons systems but how many levels deep that goes is unknown at the moment. The Stinger Report also tells us that it is being developed by a Chinese company for Sega called DynaComWare(commenter points out that DynaComWare develops fonts not games; but I am reassured that this has been developed by a Chinese company for Sega, just don’t know if it’s the same studio that did Golden Gun or not) and it has already been on a short test in the UK. No word yet as to when it will be released to the wide market but at 80% completion, I imagine it will be out this Summer. Interestingly enough, this does not appear to be the same cabinet as that recent Sega “Spy Cam” photo slightly revealed. Er, DynaComWare develops font packages which Sega and others have used in countless games. They’re not a game developer but they tend to require some form of credit within the product, thus the phrase “The typefaces included herein are solely developed by DynaComware” on the title screen. Thanks for pointing that out. There is still a Sega China studio that has been making arcade titles for them (such as Golden Gun) so that is still possible its done within China. I will try and confirm that. Awesome! 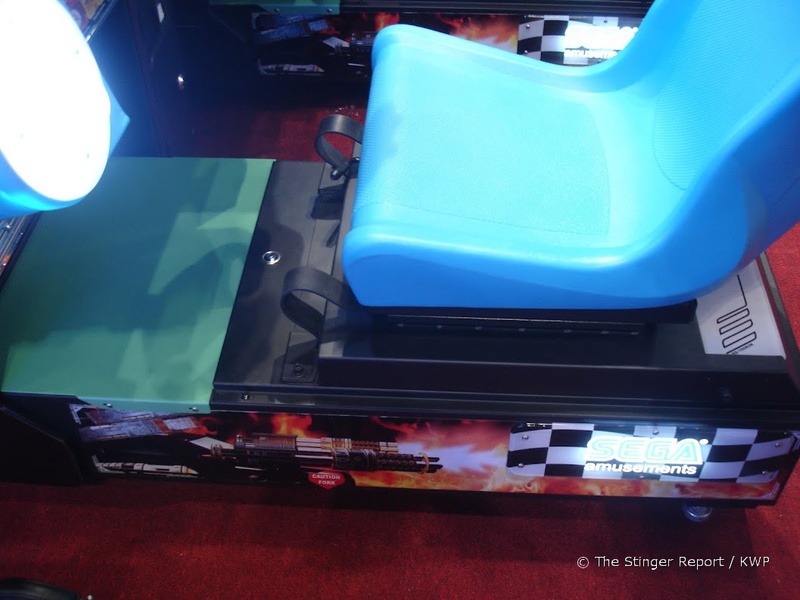 A new SEGA arcade game and it’s a…racer. You crazy, ECM? you don’t like racing games or something? The problem ECM and others have is if you follow the industry or work in it then after years of having more racing games made for arcades then in any other genre, fatigue kicks in. This is not the first racing game Sega has made in a long time – since 2008 they have made Sega Race TV, R-Tuned, Sega Rally 3, HUMMER, Sega Racing Classic, GRID, Sega, Sonic All-Stars Racing Arcade, and now K.O. Drive. In Japan they’ve also done Initial D6 & 7. 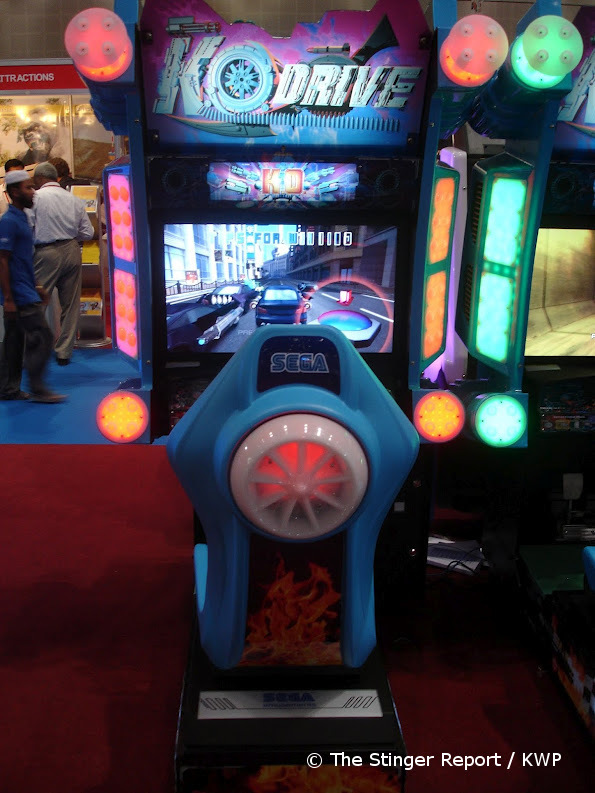 They are not the only arcade game maker out there making racers – Raw Thrills has done Tokyo Drift, Super Cars, Super Bikes 1 & 2, Nicktoons Nitro, H2Overdrive, & Dirty Drivin; GlobalVR has done two versions of NASCAR, Twisted Nitro Stunt Racing, Need For Speed Carbon; Namco has done Mario Kart GP1 & 2, Chase HQ2, Nirin, Dead Heat, Wangan Maximum Tune 3 (4 in Japan). Chinese manufacturers like Wahlap are also introducing games like Storm Racer, Power Truck and Speed Driver 3, UNIS has Crazy Speed, and there are a few others as well who have made their own racing games. 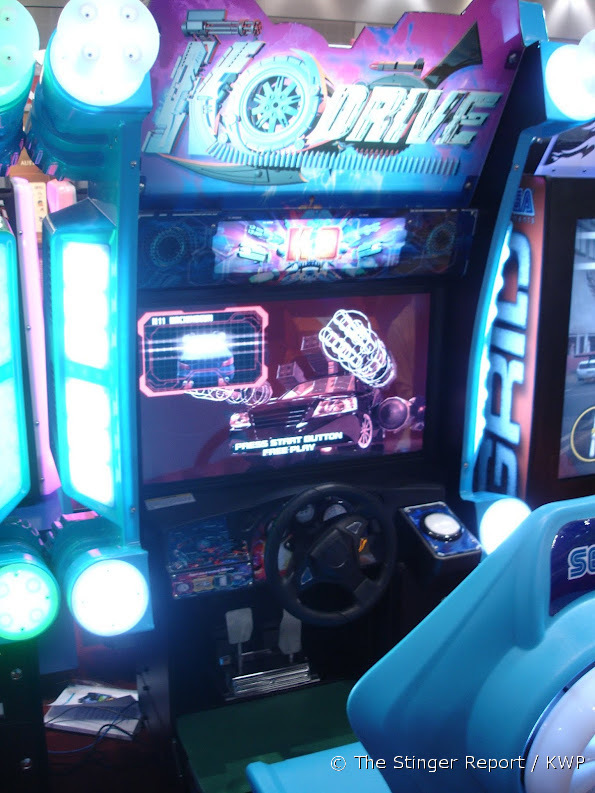 There is no shortage of racers in this industry and it gets to a point of nausea when there are so many other concepts that can still be done to great effect in arcades that are just as fun or ever more exciting then a racer. I’m not saying that there is anything particularly wrong with the racing games mentioned above, it’s just that there is a point where you want to see something else. I would love to see chinese racing game machines in north america, i’d kill for those!! Well I’m not sure where you are getting the impression from that all I want is DDR – do a search for Missing in Action here on the site. You will see that I have written several articles about various game genres that work perfectly in arcades that have been in great part ignored for the past 8 years or more. 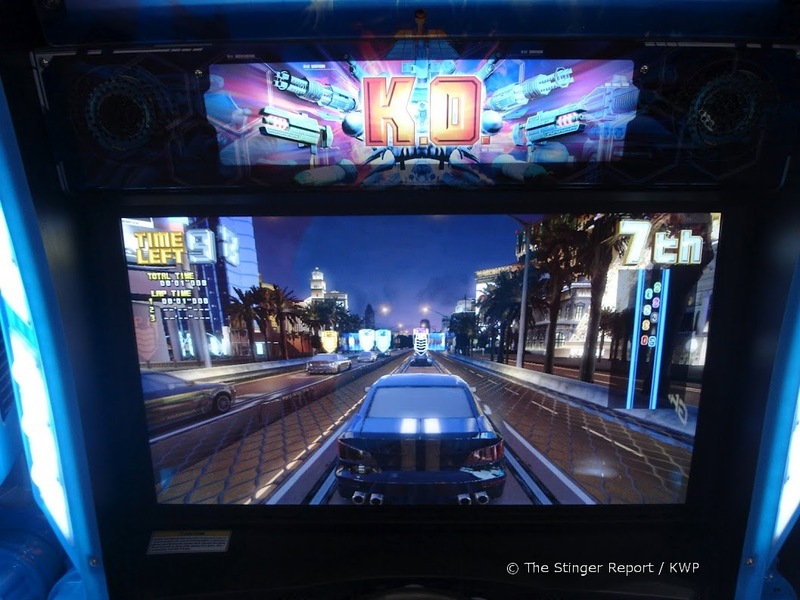 Arcades for the longest time have been bastions of innovation but in recent years it has collapsed into more and more of a play-it-safe game – churn out tons of drivers, light-gun games and rhythm games and call it a day. Again, I get why that is done because those games make money but I am not convinced that they are the only ways money can be made with the video arcade format. I want to see games of all kinds come along and supply locations with a variety of games and bring along some innovations that only arcades can get into. 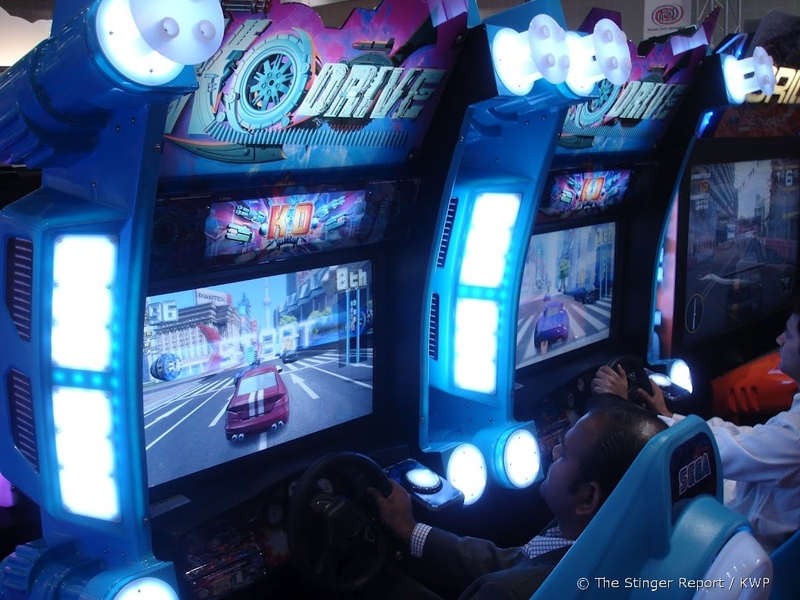 If all you want is arcades filled with nothing but driving games then I am sure you could appeal to a niche group but let’s be honest – the greater variety any arcade has, the better it can do. Pigeonhole yourself into one game type and that will only go so far for you – that’s why a lot of locations still pick up old games, aside from the costs. I currently own three racing games and they do well so I’m not against racers entirely but as someone who actively spends money on new games, I want a little more that is outside the box. If arcades became nothing more than virtual racing arenas across the board, I don’t see how that would lead us into a renaissance era of gaming. Of course drivers are nice since they give you a better experience then at home a lot of the time but you could say the same thing for games that would involve mechs, tanks, submarines, fighter jets, space ships, trains, etc. Fighter games are better (hence the obsession with arcade fighting sticks), puzzles can be done better (quirky controls and the games are always made to fit into arcade style), run’n gun games and other shooters can be done better (same reasons as puzzles) and completely new concepts can be done that don’t easily fit into a specific genre category (I’m thinking of Taito games like the Table Flipping game). I don’t know where you can find the Chinese games out there at the moment but I am sure you will come across them soon enough. I should also add that I really like Dirty Drivin’, Dead Heat, Super Bikes 2, HUMMER, Power Truck and Speed Driver 3(latter two are some of those Chinese games I mentioned). I will give KO Drive a chance when I am able to try it and I hope it’s fun but I can only tell so much from pictures. I’m perfectly willing to give each arcade game a fair shake, even if it is in a genre I’m a burnt out on to a degree. I also have been playing Mario Kart Wii quite a bit over the past few weeks and will probably try out Excitebots before too long. Of course, Specular made some of the best arcade racers in a long time, because they are very similar to the outstanding classics that we had back then. H2overdrive is hydro thunder, but better, I completely know there is a huge fan-following for that game, both the original and the new one. Dirty Drivin is offroad thunder but with twisted metal-style combat to it. I just love it when they build racing games that remind you of the classics. I feel that specular interactive should win an award for these masterpieces. Until then, every genre has its days. I play them all the time (playing Mario Kart, Mario Kart 7, and Ridge Racer 3D right now), but if I’m going to an arcade, I’d really rather play something *besides* a racing game since, as AH noted, that seems to be a huge, huge percentage of what we end up in getting in the West. So yeah: less racing games, please. I get that the make money (obviously, or we wouldn’t keep getting gales of them), but some of us would really,*really* like to see something else once in a while. Sigh yet another racer. I’ve noticed howecer that the game uses the steering wheel from R Tuned and the button on the right from sega race TV. Yeah; yawn and sigh all in order of this new driver – the Chinese 80% racer is no big shakes and seems to be aimed as a cheap Chinese drop-in product to compete with other popular titles. DEAL’12 had a number of first time releases on display. However, I sit in the Dubai airport waiting to come home, using a wifi connection that is powered by steam! so will have to wait for Blighty to reveal all. Don’t cry just yet, you are not the only one, I love racing games, too. And I never get tired of seeing more of them. Well it’s the end of 2012 almost (well a couple of months left anyway) and since April nothing has been mentioned about this game at all. I wonder if sega has canceled this game due to poor testing which isn’t surprising considering there are many other great and affordable racing games and seems to be repeated so much with racers. I’ve the saying stick with the tried and true but arcade manufacturers need to do better and be more original, new and exciting. I haven’t played it yet so I don’t know exactly what improvements were needed but Kevin W. here was not impressed by the game. Hopefully whatever changes have been made to it make it a better game overall. It reminds me a little of the prototype Atari Games title Meanstreak but I wonder if they had similar problems in creating a combat style game combined with straightforward racing. That can be harder than it looks on paper. I wonder if they ever have considered going arena style on these types of games, that’s not something we see too often anymore. Stern prepping a Lord of the Rings Limited Edition pin?